Senior Partner, Paul Crowley presents Samantha Lee, Zoë’s Place corporate and events fundraising manager with a cheque for over £11,000 watched over by Missy Mae and her brother Chase. 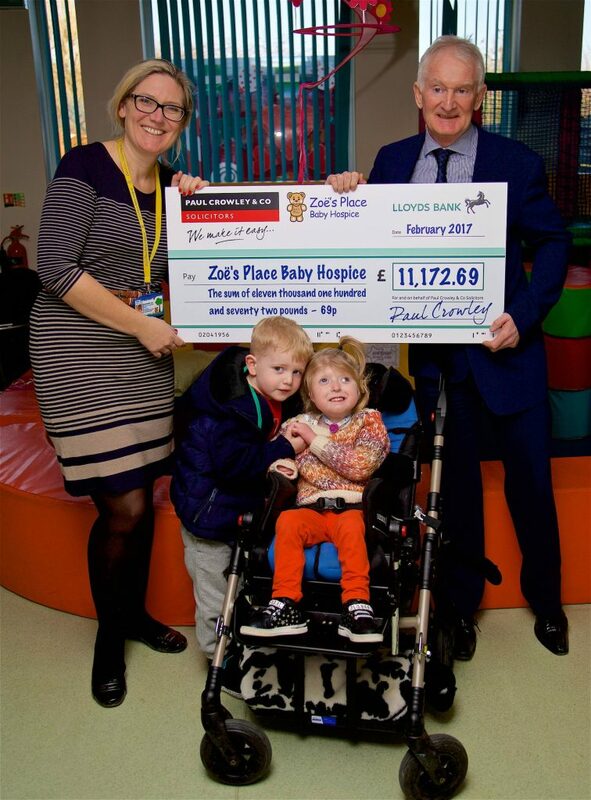 The Liverpool based solicitors has donated over £11,000 to local charity Zoë’s Place Baby Hospice. Paul Crowley & Co, which has offices in Anfield and Liverpool city centre, presented staff at the West Derby-based charity with a cheque for £11,172 this week. 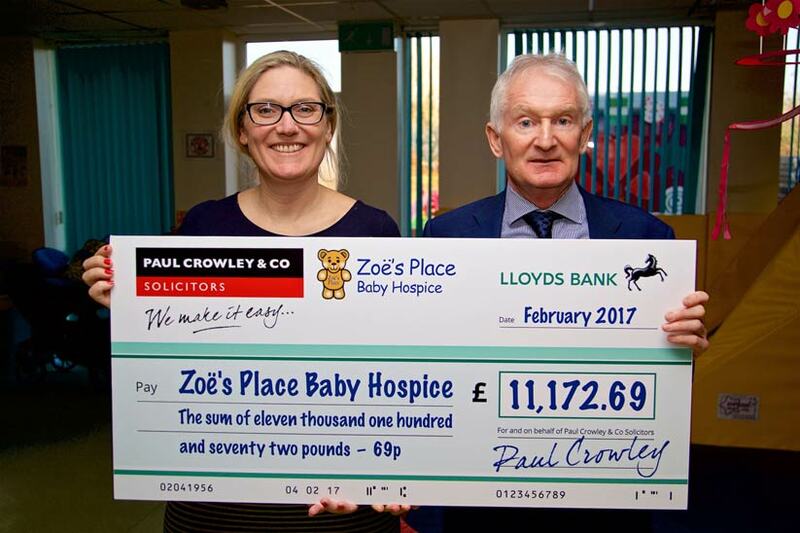 The donation comes after the firm was announced as an official charity partner for Zoë’s Place Baby Hospice for 2017, last month. On the day, senior partner Paul Crowley was given a guided tour of Zoë’s Place’s facilities, and met with some of the children currently receiving care at the hospice, including Missy Mae along with her brother Chase, who was visiting with Missy Mae on the day. As part of this year’s fundraising programme clients will be gifted with a complimentary Zoë’s Place teddy bear, upon the instruction of the firm’s conveyancing services, with all proceeds going to the charity. Staff will also be participating in a number of fundraising events, including the ‘Tough Mudder’ challenge, as well as taking part in Zoë’s Place’s official fundraising charity events throughout the year.